"Most of our product actually comes from Native American tribes collecting the remains of animals who have died in nature." Or other false (but convenient) excuses like "helping farmers". When those rationalizations didn't work, some simply wanted to throw in the towel, citing our powerlessness to change the fashion industry. Because this is such a huge trend at the moment, I wanted to explore what informed the people who are mostly participating in wearing these things. I sort of blame Mario for subconsciously influencing a generation of raccoon and fox-tail-wearing 20 to 30 somethings. I blame Peter Pan's Lost Boys. I blame the roadkill-eating freegans who want to symbolize their "going feral" by wearing the tail of their last meal without considering the consequences of the appetite this culture has for devouring any and every sub-culture's iconography and selling it to the mainstream as empty symbols of rebellion. 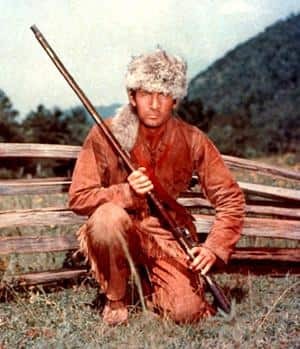 I blame the racist appropriation of American Indian garments and crafts, and Davey Crockett, and Max from "Where the Wild Things Are". The symbol itself is obvious; if you wear a tail, you become wild, like an animal. It is no surprise then, when we look at what Generation X and Y considers nostalgic and representative of childhood freedom, how that relates to our human desire to be wild and to have contact with nature and animals. This desire is not wrong - but the execution is the furthest thing from communing with wilderness when one considers how most fur garments and accessories are produced, and the toll it takes on animals and ecosystems. Worst of all - there is really no excuse - it's not like they are functional; these tails are simply ornamental, yet there are those out there willing to defend it like it's clean drinking water in a desert.